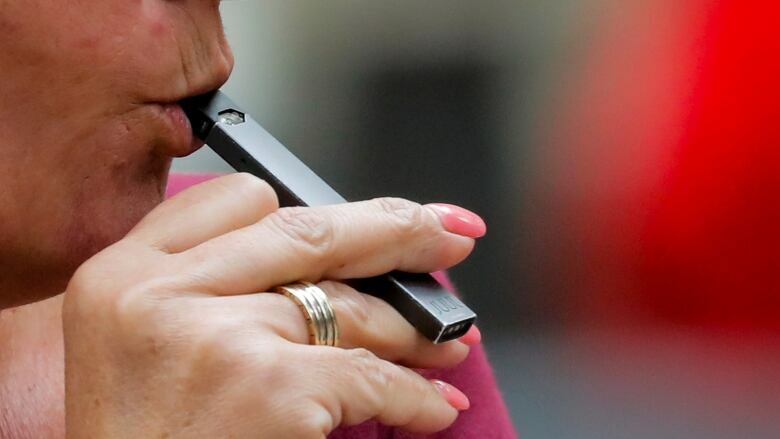 Vaping giant Juul Labs Inc. is stopping its sales of some e-cigarette flavours in U.S. stores to deter use by kids and teens, but is not doing the same in Canada. The company announced the move on Tuesday, in advance of an expected crackdown by the Food and Drug Administration (FDA) on underage sales of flavoured e-cigarettes. 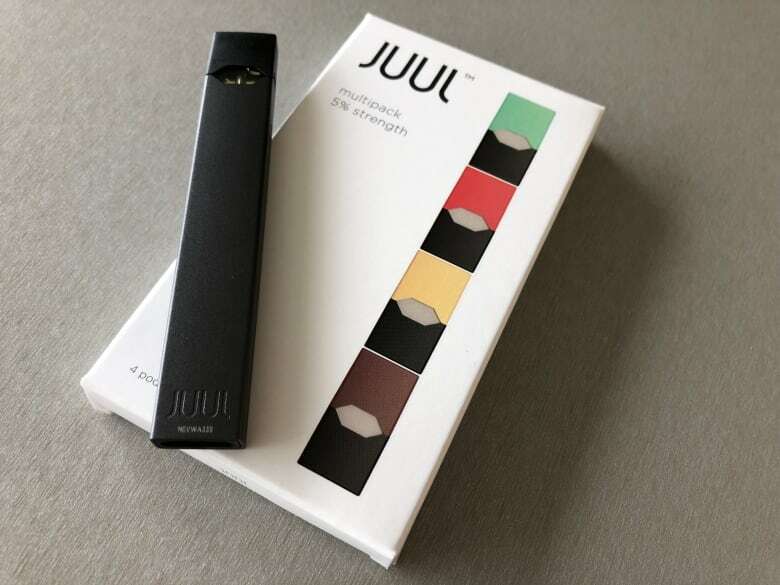 In a statement posted on the company website, CEO Kevin Burns said it had "stopped accepting retai​l orders for our Mango, Fruit, Creme and Cucumber JUUL pods to the over 90,000 retail stores that sell our product." The flavours would continue to be available directly from Juul online, the statement said, where "age-verification measures" are in place. But the company is not taking the same actions in Canadian stores, where mango, fruit and cucumber flavours continue to be available, said spokesperson Victoria Davis in an email to CBC News. The "creme" flavour has never been available in this country. "All flavours are compliant with Canadian regulations," Davis said, noting that the company had "chosen to voluntarily limit" them in the U.S. "as part of the discussions" between Juul and the FDA. "We're deeply concerned about the epidemic of youth use of e-cigs. Voluntary action is no substitute for regulatory steps #FDA will soon take," his tweet said. "But we want to recognize actions by JUUL today and urge all manufacturers to immediately implement steps to start reversing these trends." Last week, an FDA official said the agency plans to bar stores and gas stations from selling most flavoured e-cigarettes, but not menthol. It also plans to require online retailers to verify ages, the official said, speaking on condition of anonymity. When asked by CBC News, Health Canada did not say whether it was concerned that the Juul flavours pulled from American store shelves would continue to be sold in Canada. Health Canada spokesperson Anna Maddison said in an email that Canadian regulations restrict "the promotion of vaping products with candy and dessert flavours, such as crème brûlée and blueberry cake." "Canada has established a strong regulatory framework for vaping products, with a focus on preventing uptake by youth and non-smokers," Maddison said. "In addition to enforcing regulations that prohibit the sale of vaping products to people under age 18," she said, "the Government of Canada will soon be introducing a new public education campaign to increase awareness about the harms and risks associated with vaping product use among youth aged 13 to 18. "The campaign will also equip parents and other trusted adults with tools and resources to support conversations and discussions about the health risks of vaping products for this age group." Many health experts agree that for adults, inhaling nicotine through vaping is safer than smoking traditional cigarettes, but the long-term effects aren't fully known. One of the biggest public health concerns has been that teens would find vaping appealing, even though they were previously non-smokers. Juul continues to say that its products are meant as an alternative for adults who already smoke. "JUUL is a switching product for adult smokers and is not intended for non-smokers or minors," Davis said in her email to CBC News. "Those who do not currently use nicotine products should not start using JUUL. Our mission remains to positively influence the lives of adult[s] – five million in Canada – by offering them a less-harmful alternative to combustible cigarettes."